**Sorry in advance for the slight sound distortion at certain points. I hope that doesn't stop you from enjoying the full discussion. Join me and two ... See More book bloggers friends (Casey from Literary Escapism and Nicola from Alpha Heroes) for this roundtable discussion. 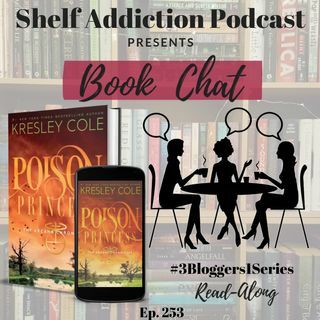 On today's Three Book Bloggers, One Series episode we are discussing the book Poison Princess (The Arcana Chronicles) #1). Participate in 3 easy steps.